Travel, besides time, also adds perspective and appreciation. So do imports. Living in the U.S. and traveling back to my home country of Japan, I’ve noticed more availability of American goods in Japan and vice-a-versa. Ninja Note: Bee-Bim-Bop Sushi Rolls are a great intro into the world of bibimbap. Feel free to add to the list in the comments section! 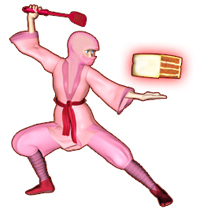 You might also like to add the Ninja Baker’s Japanese Korean Tofu Sliders to your recipe collection. Why? When pressed for time, something super tasty and easy, Japanese Korean Tofu Sliders are a go-to! Splashed onto a mild tofu canvas are fiery colors and flavors of kimchi cabbage. Sweet corn and slider buns soften the spicy crunch of kimchi. Japanese Korean Tofu Sliders are easily made gluten-free…as long as you pick gluten-free slider buns. Easy Skillet Recipes for Back-to-School inspired this #SundaySupper post. Please scroll down to discover how you can contribute your gems. 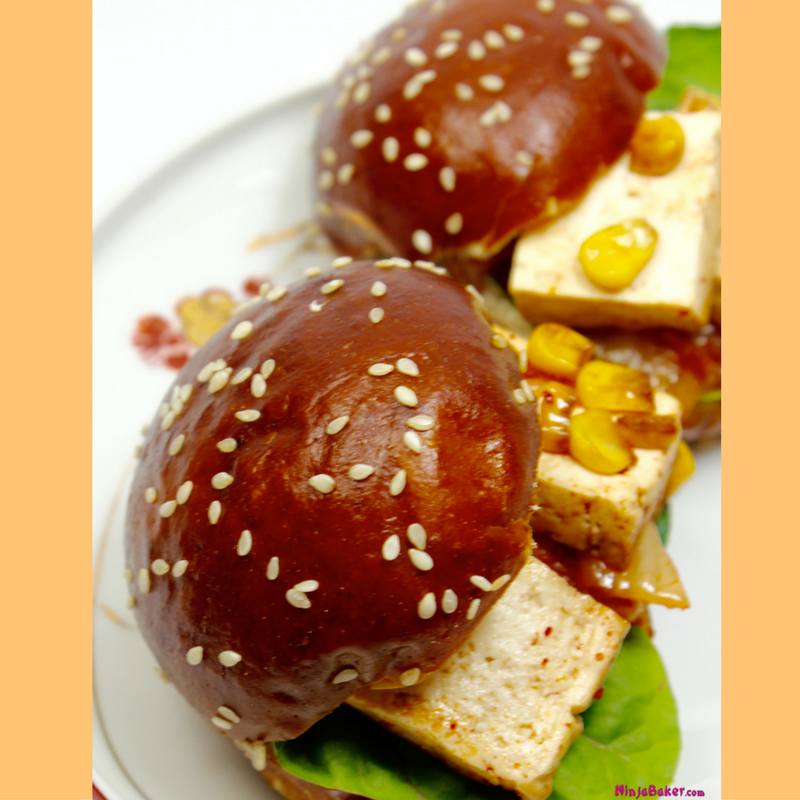 On your way, you’ll see recipes enticing and as easy as Japanese Korean Tofu Sliders! Japanese Korean Tofu Sliders are do-able in 15 minutes or less. And will bring a dish packed with protein, iron, calcium and vitamins A, B, and C to your table! Slice and cube the tofu. Do a rough chop on the kimchi cabbage leaves. Coat a frying pan with the sesame oil and soy sauce. Toss in the tofu and corn. Serve atop lettuce leaves on slider buns. Liz Berg of ThatSkinnyChickCanBake is the hostess of this Sunday Supper's offering of Easy Skillet recipes. Liz always comes up with guaranteed delicious desserts. Be sure to nab the recipe for her Fudgy Skillet Brownies. Wishing you more time to spend with loved ones and doing what you love.